Christmas is here, my adventures with gluten free dishes continue, my birthday is in 2 days, I’ll be 36 and a friend that I met for the first time in person on Monday was amazed to hear my age – he thought I was 28 at most (uuuuu!). After all, I am still asked to show my ID in Alko when I buy alcohol! 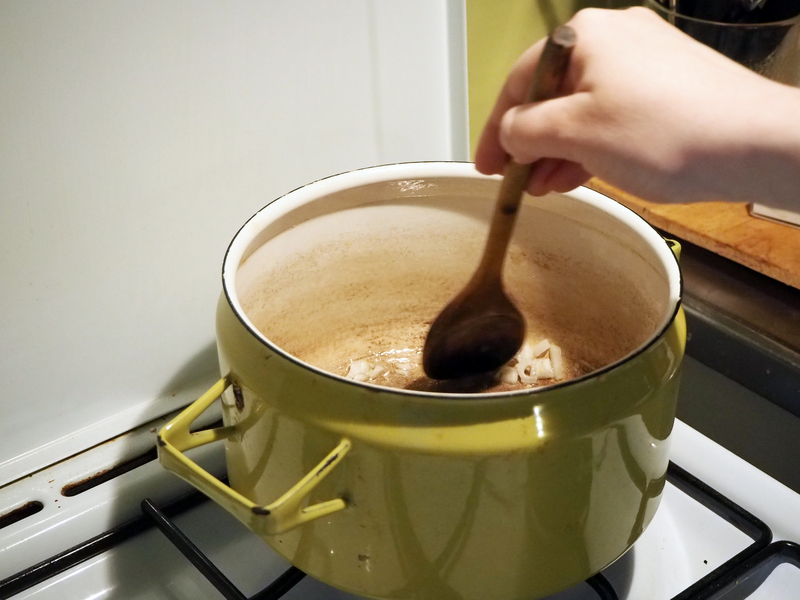 It’s been a tough year for me… But well, this post is about this delicious soup which makes a great pair with last week’s gluten free cornbread. 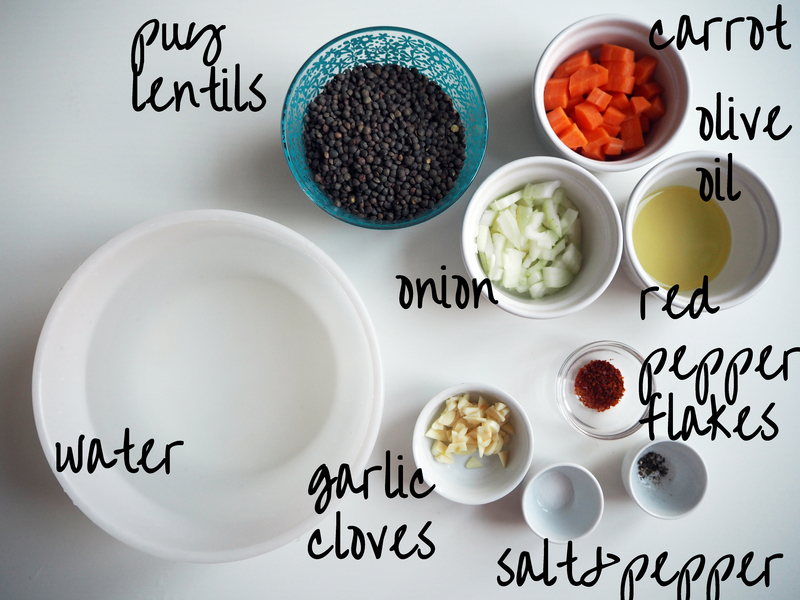 The lentils used in the recipe, puy lentils, are green lentils that are cultivated in Le Puy region in South-Central France. They have mineral-rich, unique earthy taste that comes from the volcanic soil they grow in without any fertiliser. 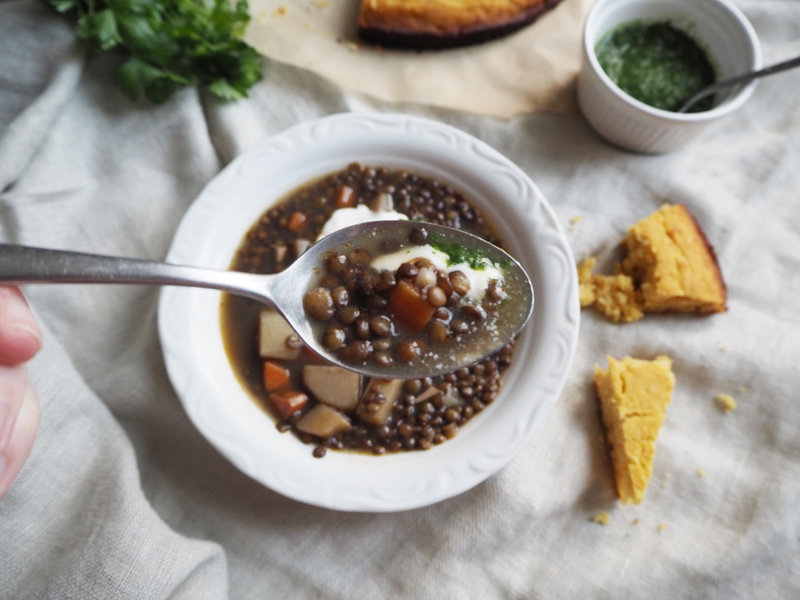 Puy lentils are a great source of vegetable protein, they have a long shelf life and they cook quite fast. 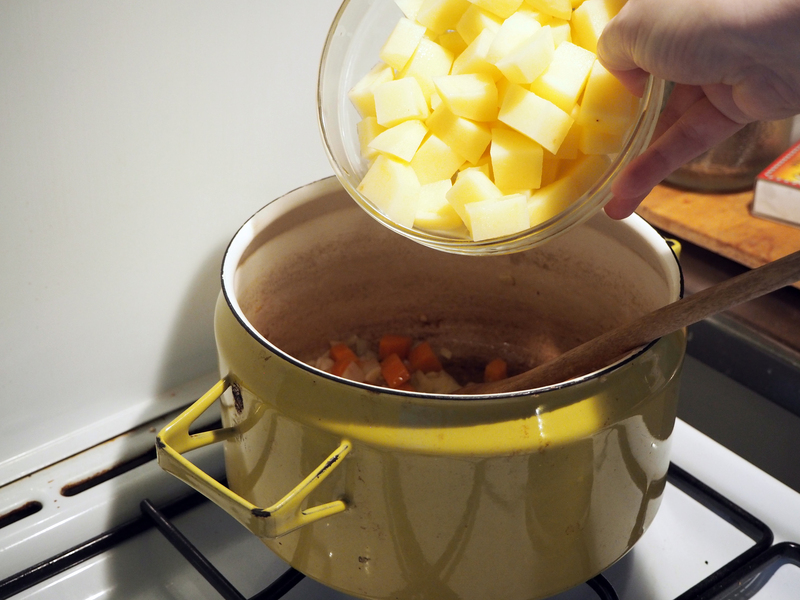 They are really good particularly in salad because you only need to cook them for 15 minutes and they are done – they will keep their shape and will have a bit of bite to them but they will certainly be cooked enough. 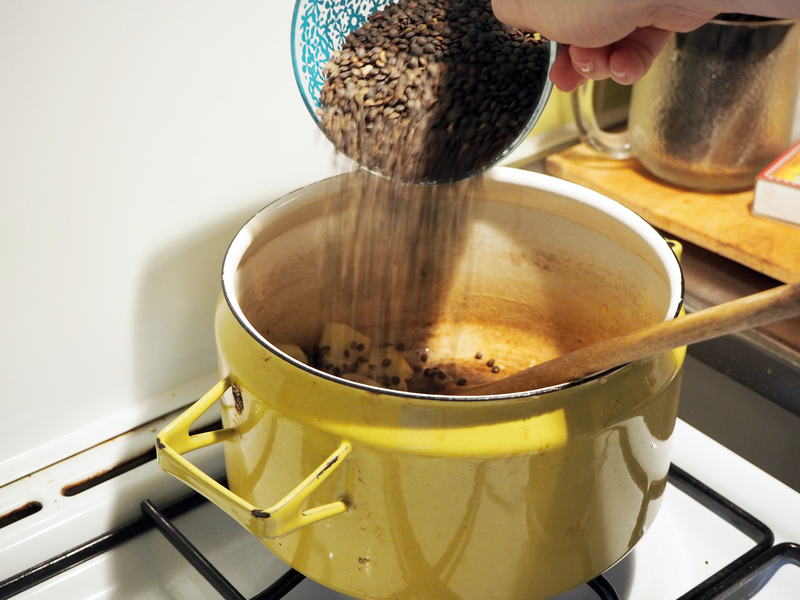 In Helsinki, you can find puy lentils in DeliDeli shop in Hakaniemen Kauppahalli. 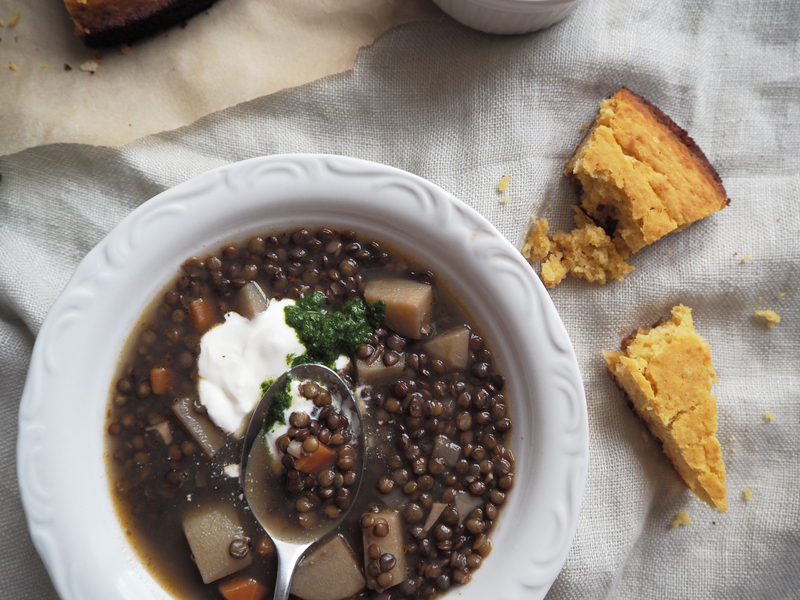 For this soup, you don’t need many ingredients, and the rich taste of lentils will be enough anyway. I adapted this recipe from “She Knows” blog. 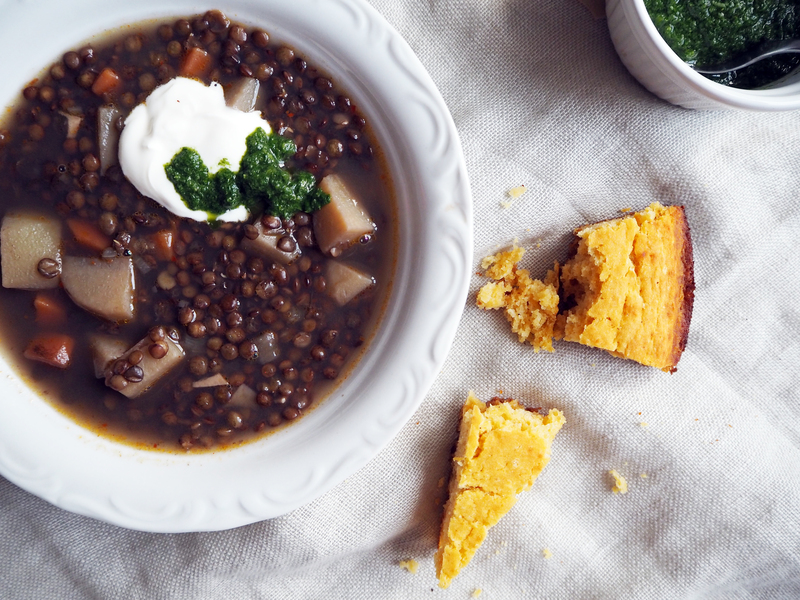 In the original recipe Patricia uses brown lentils but I think puy lentils give richer taste. 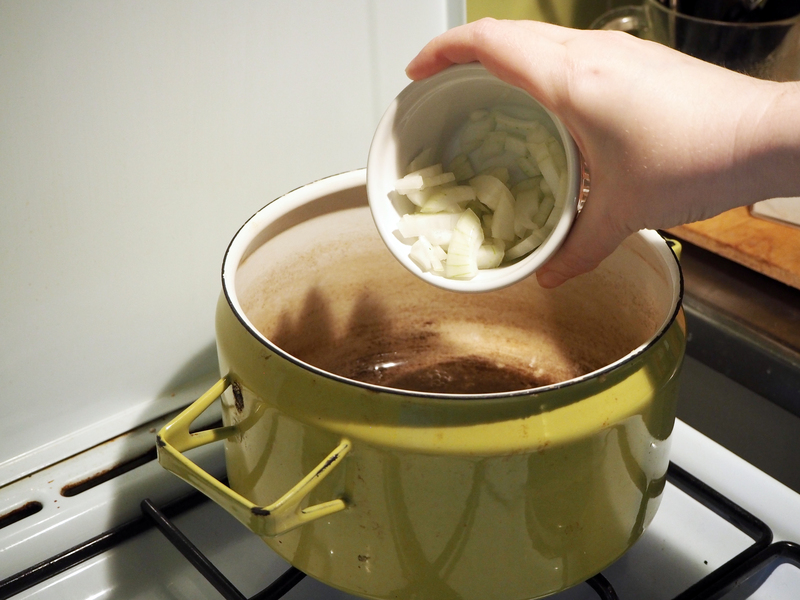 She also uses one celery stalk but I do not like it so much in the soup so I omitted. 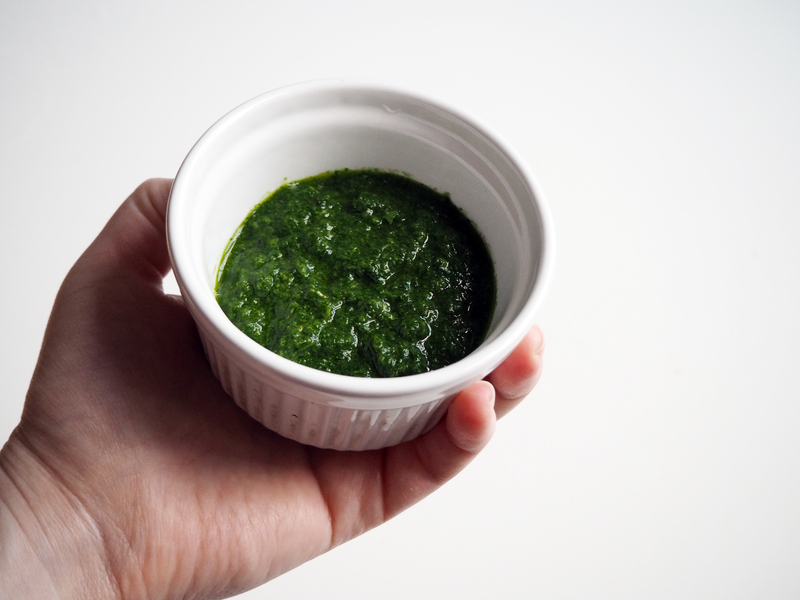 While serving, I put a dollop of sour cream and parsley-mint sauce on top. 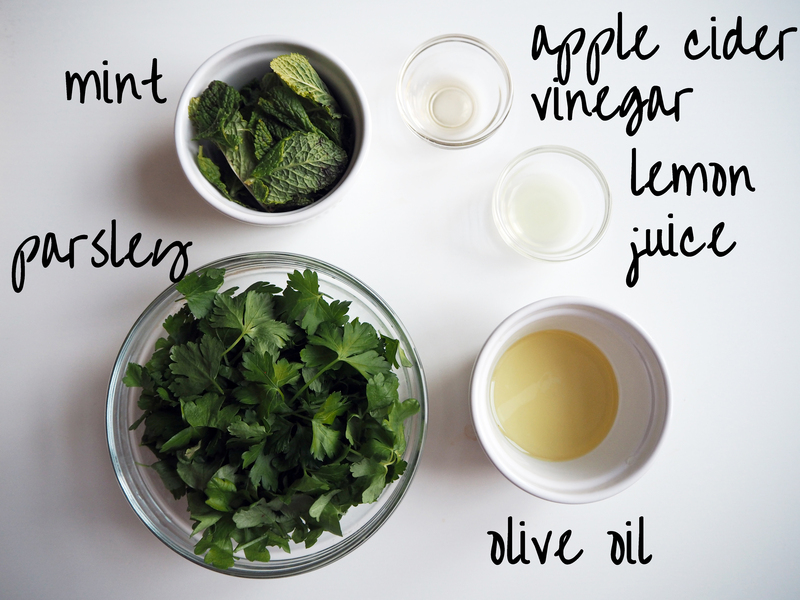 Nowadays I can’t get enough of fresh parsley and I make simple parsley sauce or mint-parsley combination for almost everything! But if you are not a fan of any of those, just don’t use it. 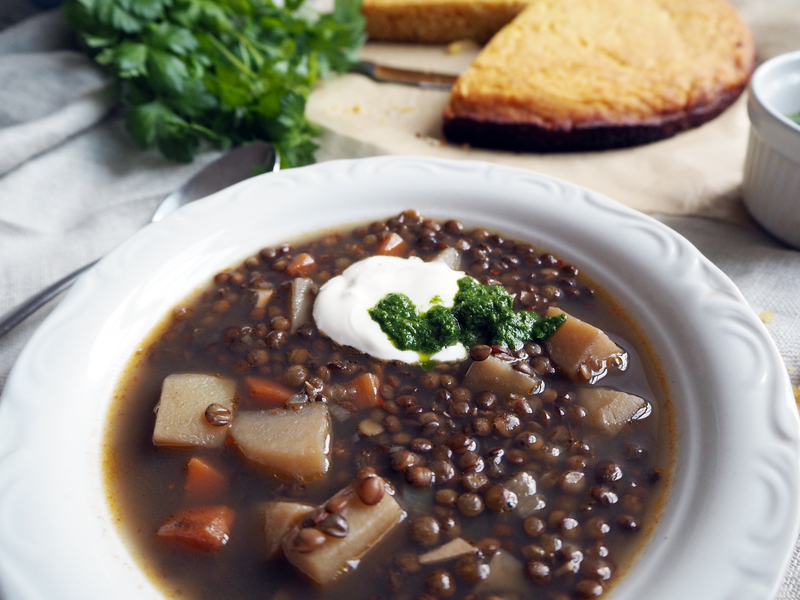 The original recipe cooks with fresh rosemary which I omitted because of the strong taste of puy lentils and the sauce. So if you prefer rosemary, just add 1 tablespoon chopped fresh rosemary while cooking. 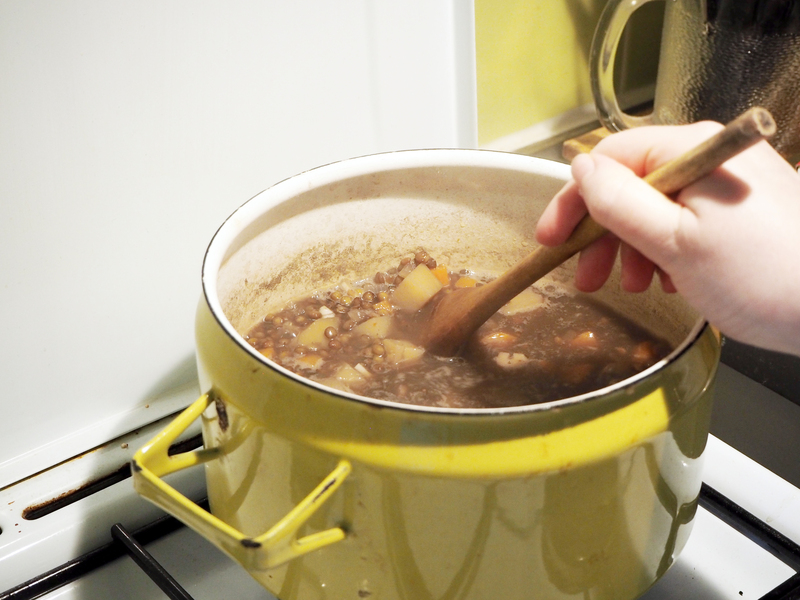 Enjoy your hearty soup! 1. 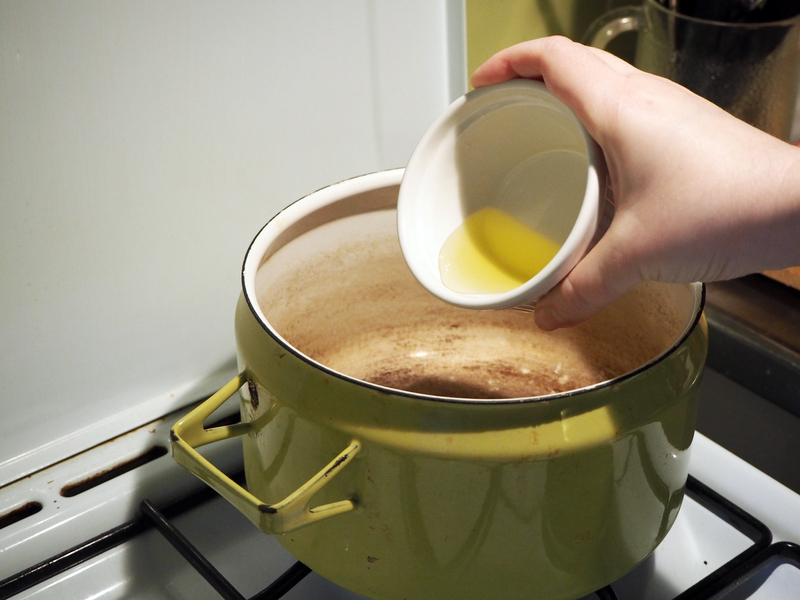 In a deep pot for soup, put olive oil and heat it for about a minute on medium heat. Add onion and sauté for a few minutes, until it gets translucent. 2. 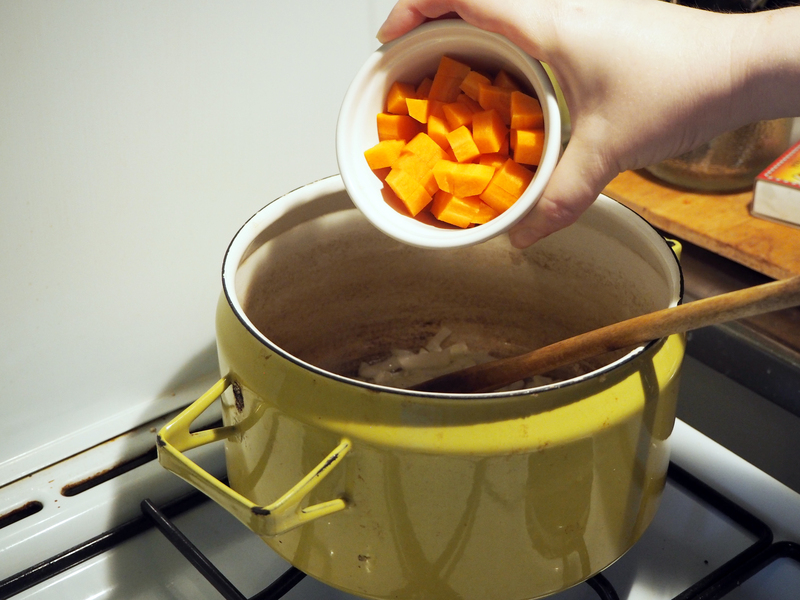 Add carrot and garlic cloves and sauté them for a few minutes, until carrots start to soften. 3. 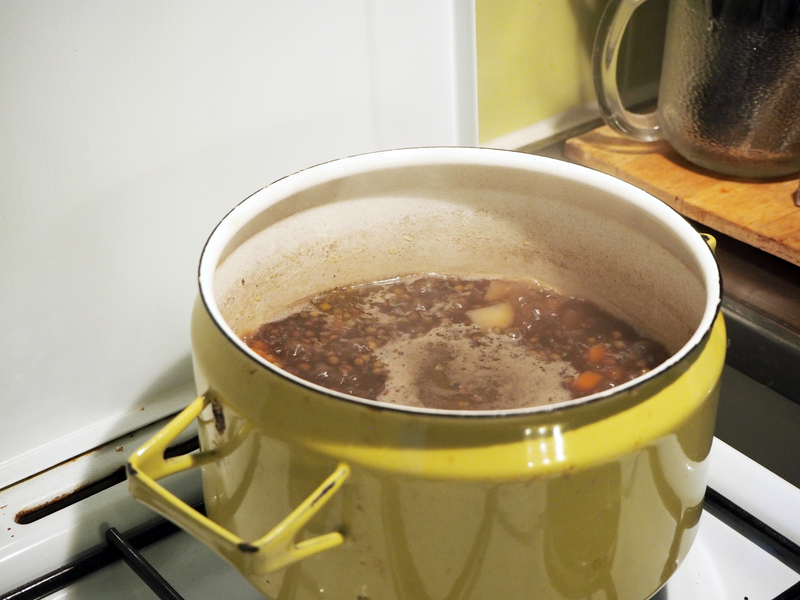 Add potatoes, puy lentils and water or vegetable broth, stir a little, and cook for about 10 minutes, or until the water starts boiling, still on medium heat. 4. 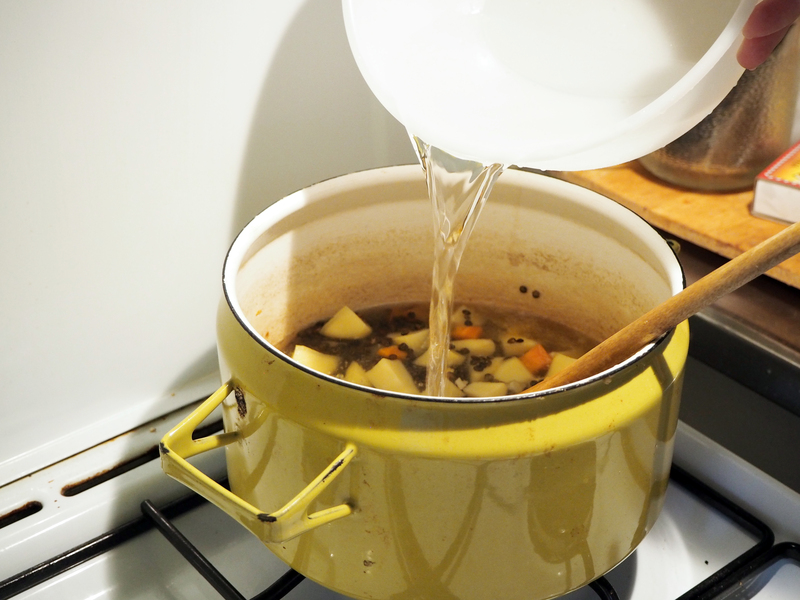 Once water boils, simmer on low heat for 10 more minutes. 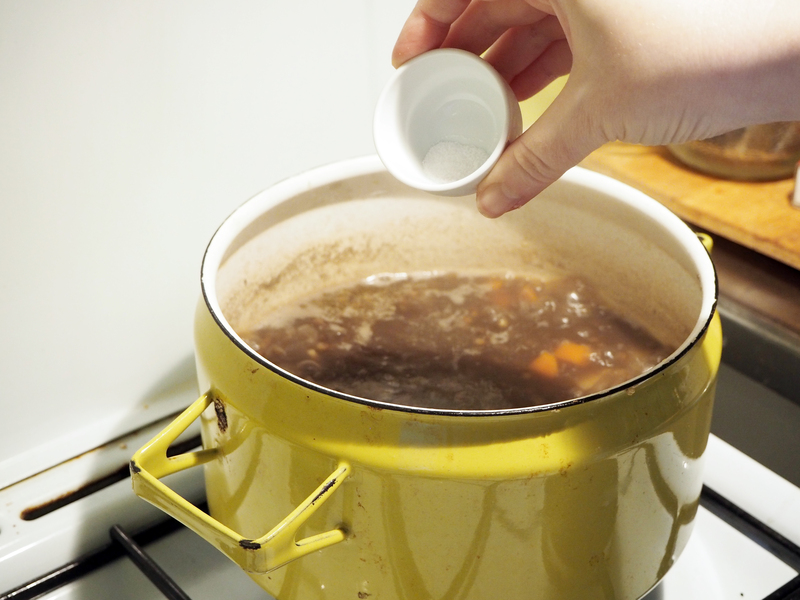 At this stage, if you feel like soup is too thick, you can add more HOT water. 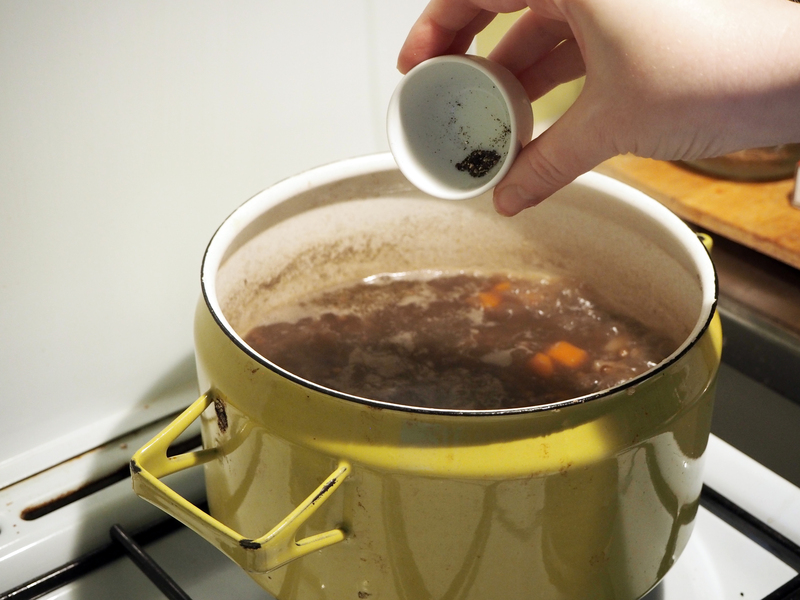 I’d suggest adding about 1/2 cup each time, so that you don’t suddenly get too thin soup this time. 5. 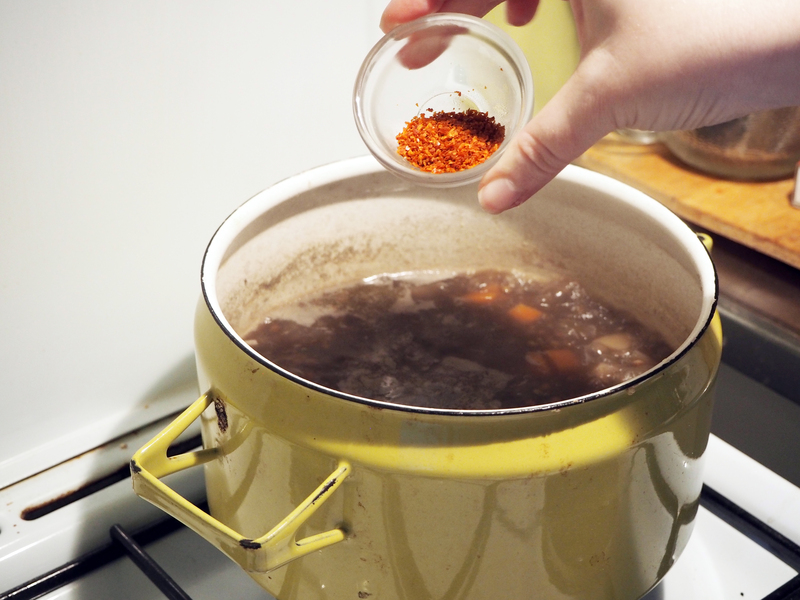 Once soup simmers enough and all ingredients are cooked enough, add salt, pepper and red pepper flakes, stir and simmer for a few more minutes. 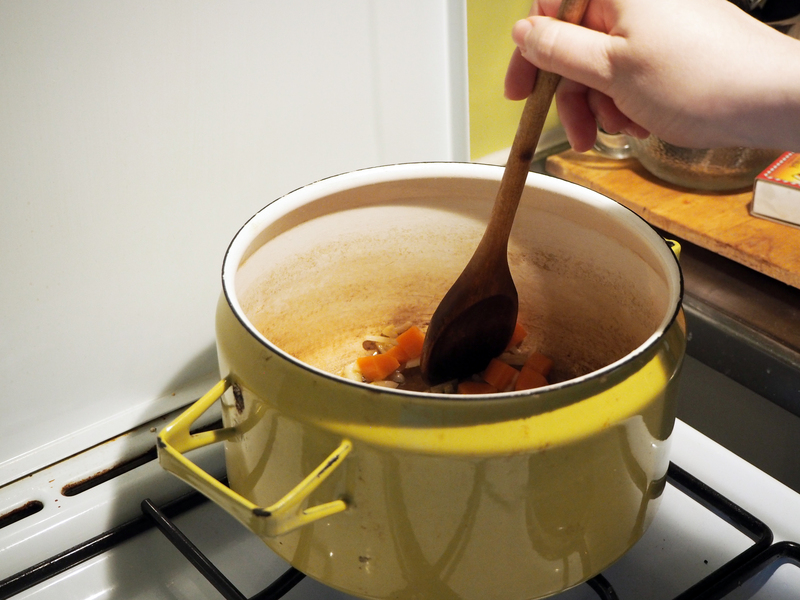 Then take away from the heat and let it rest, with the lid of the pot on, for at least 5 minutes before you serve. 6. 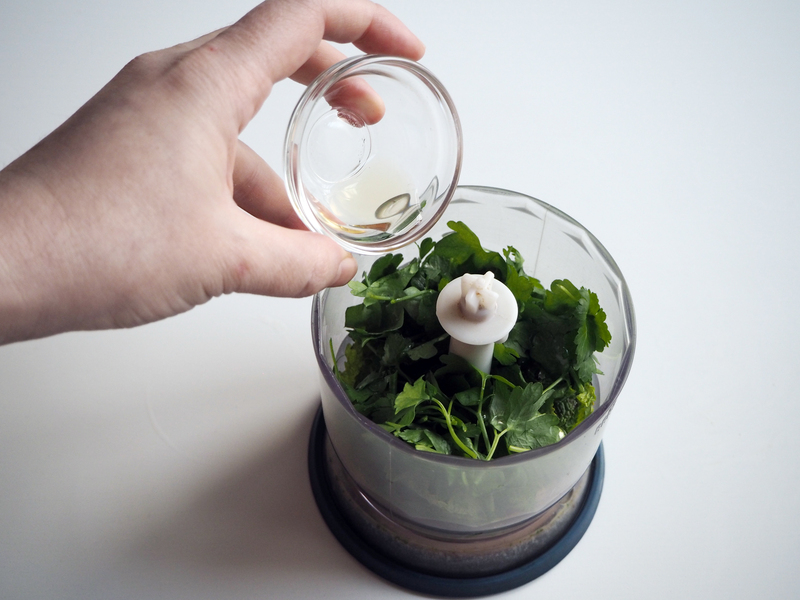 Put ALL ingredients in a food processor and process it until it makes a nice, oily paste. That’s it! Add salt or not, according to your wishes (note in the ingredients list). Put some soup on the bowl. 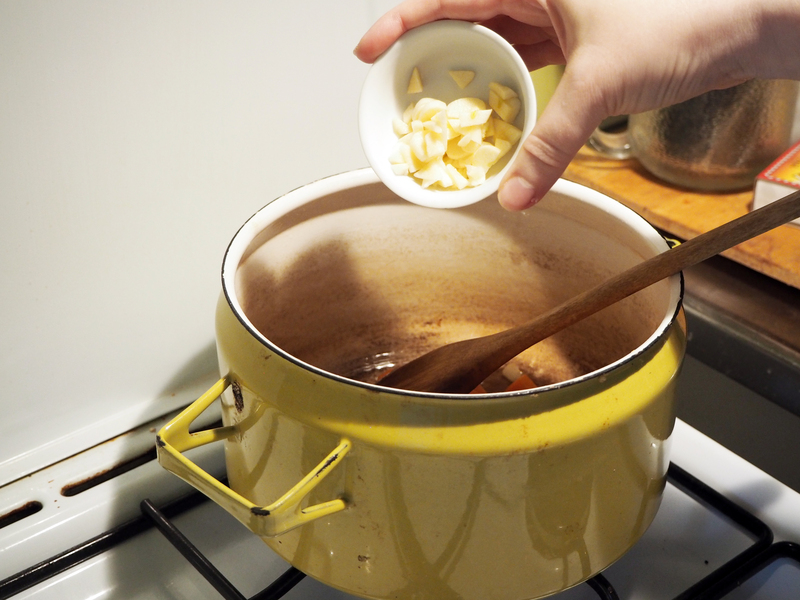 Put one nice dollop of sour cream and 1 tsp of sauce on top of the soup. Enjoy!